Day 3 was on the Grand View trail again. 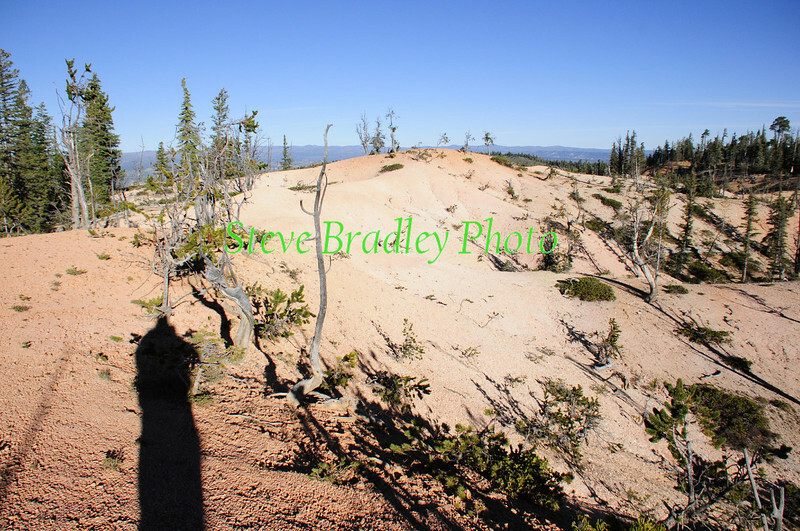 I tried to show how different this trail is with what appear to be sand dunes on top of the ridge and in fact this is a giant decomposed granite "sand dune". This material was so hard that the horses barely made marks on the surface. I included some of the shots I took before the riders came through to show off this unique feature of the Bryce Canyon Grandview trail.